When Vedalam is busy creating all time records in Tamil cinema, universal hero Kamal Haasan is making a difference in USA. Both the films Vedalam and Thoongavanam released on the eve of Diwali and trade pundits are busy declaring collections. 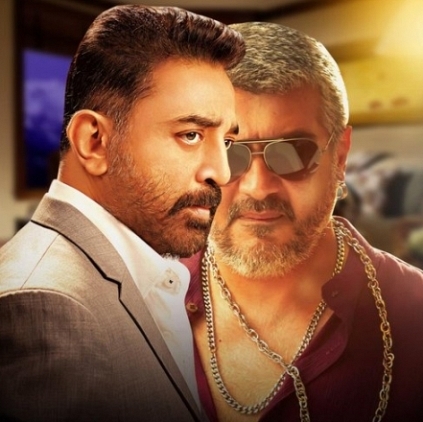 When Vedalm has made a little over 25 crores in its first two days of theatrical run in Tamil Nadu, reports are coming in that Kamal's Thoongavanam has grossed around 1.4 crores at the end of day 2 including pre-release premier shows in America, leading Vedalam by around 30 lakhs. It is nice and healthy for films to have good competition in box-office across geographical regions. Kamal to do it twice on the same day. People looking for online information on Kamal Haasan, Ajith, Thoongavanam, USA box office collection reports, Vedalam will find this news story useful.